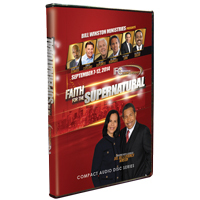 In this conference series you will experience the teaching ministry of seven of the greatest “Generals of Faith” in the Body of Christ, including conference host, Dr. Bill Winston. These generals are apostles and prophets who have been anointed by God to teach you how to live by faith, and they have the sustained ministry evidence, “faith proofs,” to authenticate their calling. Speakers include Dr. Bill Winston, Bishop Tudor Bismark, Bro. Kenneth Copeland, Dr. Jesse Duplantis, Rev. Samuel Rodriguez, Pastor Cash Luna and Dr. Creflo Dollar.